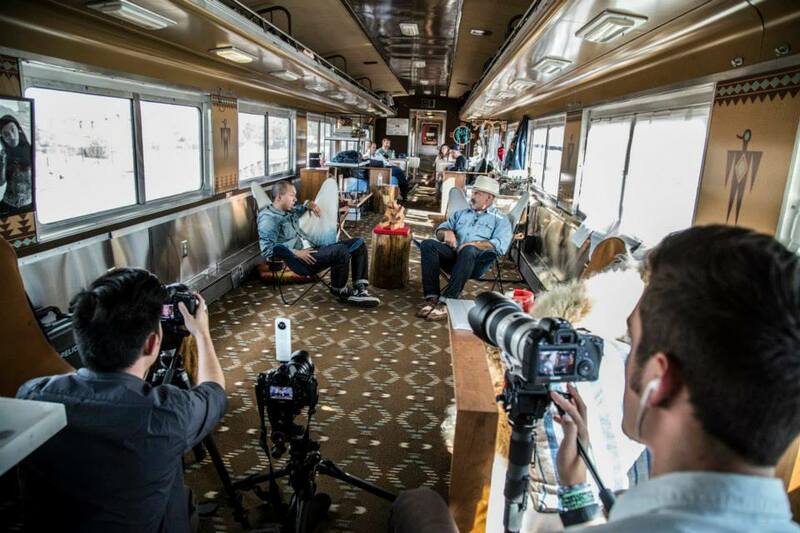 Levi's Station to Station Train & Airstream — Coupler Mfg. Co. 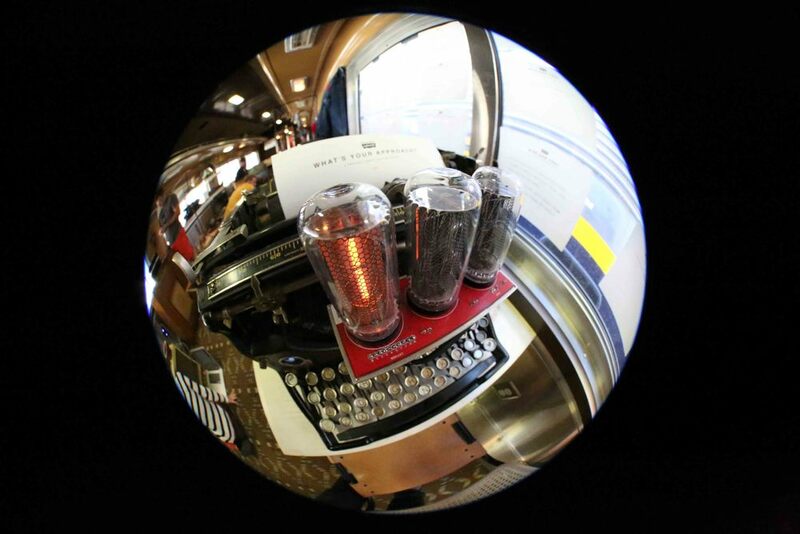 In September of 2013, Levi's embarded on Station to Station, a traveling pulic art, film and music project that traversed the country from New York City to Oakland, CA. 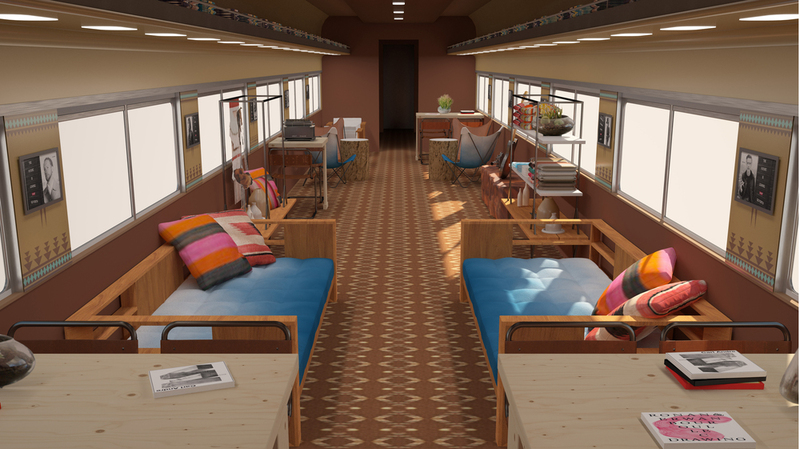 Conceptualized by Denton-Cardew Design and brought to life by Coupler Mfg Co., the two companies worked together to build out a carriage that was part of a 1953 Santa Fe Hiawatha train for the tour. 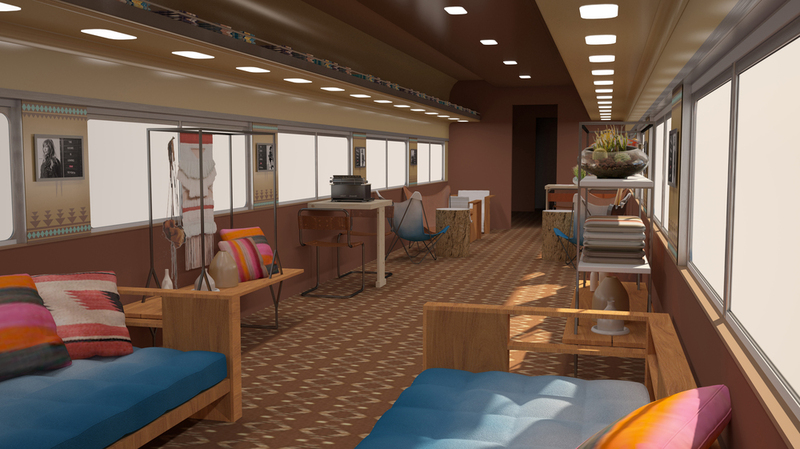 The task was to create an environment that would be a social hangout for guests and a place to conduct interviews. Levi's also wanted a small display area to highlight some of its icons. Having no access to the car itself until the day of installation, DCD created 3D renderings for Coupler's task to build all custom furniture. Coupler handled all logistics in sending all fabricated items and sourced materials to Minneapolis, MN, New York City, NY and Washington, D.C, wherein the team performed custom installs prior to departing each city. 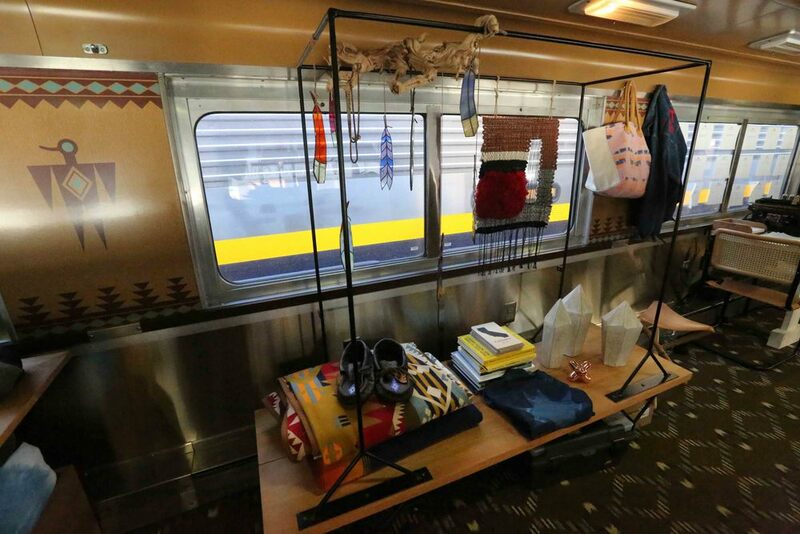 In addition to the train car, DCD was invited to create the interior of a 35ft custom Airstream trailer that would follow the train to serveral of the cross country stops and serve as a brand touchpoint and interview space, and was merchandized with their Icon collection. Using DCD's ideas as inspirations, Coupler created custom shelving and seating, including a built-in sofa wrapped in hombre material that was supported by a west coast vibe of pillows and cushions. The back of the trailer had a projecor and pulldown screen so that brand films could be played. Installation and Fabrication by Coupler Mfg. Co. Hombre Dyeing courtesy of Nikki Livingston.